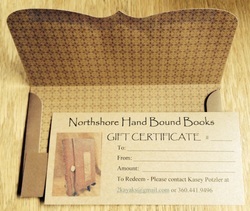 Fine Northshore Hand Bound books are just waiting to be filled with your musings, drawings, & slices of life. Be the second artist in these treasures that will last a lifetime. ** Keepsake Book video - Look under "Custom Work"
** NEW BUTTONS - Look under "Custom Work"
** YOUR VERY OWN CUSTOM COPPER PLATE - Check under "Copper"
** Have you seen the video "Hand Bound" about Kasey's work? Scroll down below. Klipsun Spring 2016 / Promise "Hand Bound" by Ashely Hiruko and Alyssa Pitcher from Klipsun Magazine on Vimeo. Looking for just the right gift? 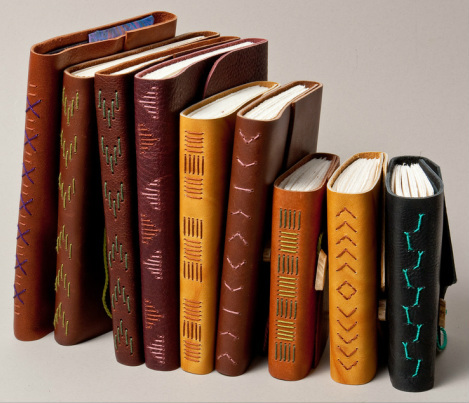 Give a certificate that will enable your person to work with Kasey to select materials for their very own handbound book! Click on "Contact Me" & call or email to request your gift certificate.